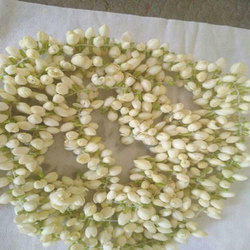 Based in Tamil Nadu, our company is known for its world famous Fresh Jasmine Flowers.. These white colored Flowers are known for their pleasant odor and are widely worn by girls and women mainly for their beauty and everlasting fragrance. 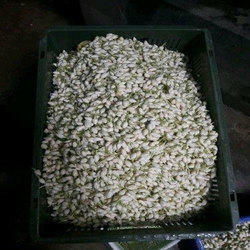 Further, we can offer Fresh Jasmine Flowers in proper packaging in order to retain longer freshness. we are prominent exporters of all kind of vegetagles, grains, flowers, peanuts, Breakfast cereal, cocopeat, and paper bags. Hibiscus (China Rose) is an evergreen shrub having bright green leaves and bell shaped dark red-colored flowers. These flowers are used in variety of toiletries such as shampoos, animal products and various other cosmetics. We Sell Madurai Jasmine (Madurai Malli) Woven in Madurai Style (Uruttu Kattu) directly from Madurai with Ice Pack (to ensure freshness) to any part of India. Minimum order 100 arm length. We ensure Timely Delivery. .
Kindly Give us 48 Hours Time. Jasmine flowers with strong aroma. Other local flowers like Sampangi also available.